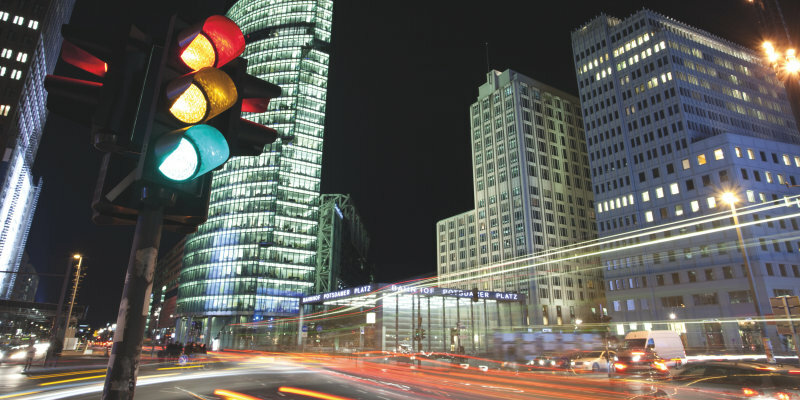 Offering latest technologies, outstanding performance and a dedicated product range, OSRAM Opto Semiconductors’ light emitting components for electronic message signs and signals support our customers with new reliable and flexible value-added opportunities. The innovative optical components are the perfect match for modern information and signaling solutions. Their unique features and powerful performance enable the design of new market-leading products, which distinguish themselves through clear, precise visibility and eye-catching appearance. All of our products comply with international standards for both viewing angle and color. Regardless of the location, on the road or on rails, at bus stops or on platforms, in airport terminals or train stations, on the outside of vehicles, big or small: OSRAM Opto Semiconductors has the perfect solutions for a great variety of electronic message signs and signal applications. Using state-of-the-art LEDs from OSRAM Opto Semiconductors, new innovative trafic lights can be realized with full flexibility and absolute freedom of design. Our highly effi cient and optically perfectly designed LEDs are available in various performance classes, offering bin selections that comply with international and many national standards. The lights of emergency vehicles have to meet many national and international standards. For many of them, the OSRAM Opto Semiconductors bin selection possibilities provide the perfect match. The radiation characteristics of all colors are optically matched to make designs of secondary optics very efficient. Also including low power components for small message sign areas within warning bars, our product range offers one-stop-shopping opportunities for complete LED solutions. Not only ambulances, police cars or fire trucks run much better with LEDs from OSRAM Opto Semiconductors. 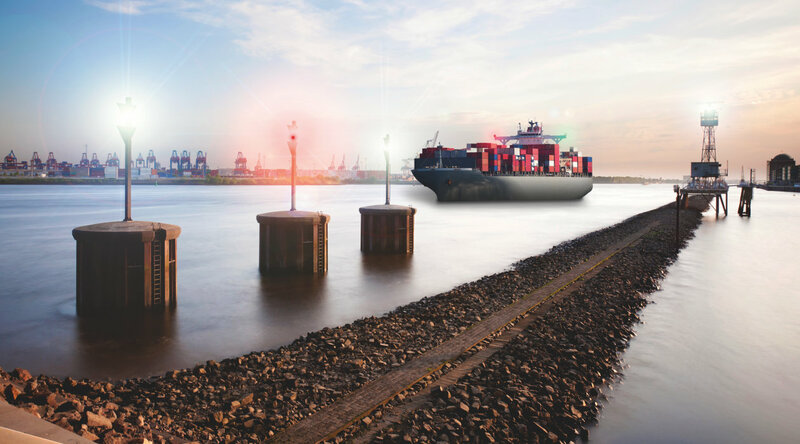 We also hold the right solutions for very special lighting applications and designs, whether light buoys, navigation light or flight path lights. Variable Message Signs (VMS) contribute to more convenience for people on the move. They address the demand for reliable real time information, e. g. of departure dates, and provide useful service information. The LEDs from OSRAM Opto Semiconductors designed for these applications make the look at the signs to a brilliant, eye-catching experience. Variable message signs also make road traffic safer and provide more flow. Whether speed limit, warnings or road markings, LEDs from OSRAM Opto Semiconductors show the way with excellent visibility and high contrast. The ceramic-based high-performance package supports cutting edge traffic light designs, with a signifi cantly reduced number of LEDs per signal. The portfolio sets new standards in terms of electrooptical efficiency even at high temperatures, including a high-efficiency yellow LED with a ceramic converter. The 120° beam angle of this tiny power pack with a package size of 3.0 mm × 3.0 mm × 1.7 mm is perfect for standard secondary lenses for signal lights available on the market. 30° narrow angle radiation based on an SMD TOPLED® footprint, and a standard component platform support full flexibility for basic traffic lights, equipped with low power components. The classic Power TOPLED® package with its outstanding reliability is the perfect component for designers who want to operate with low power LEDs and cost efficient thermal designs. The variety of colors and the color selection options make them ideal for any kind of regional signal standards. Classic TOPLED® package available with tailored white bins to support single color bin delivery option. Individual addressability of each color, high contrast thanks to small reflector size and premium intensity. Available in three-in-one and two-in-one options for full color or tricolor message signs. The TOPLED® Black Surface package is the classic component par excellence. It is used in platform and hall signs since almost two decades.